Control your office from anywhere. 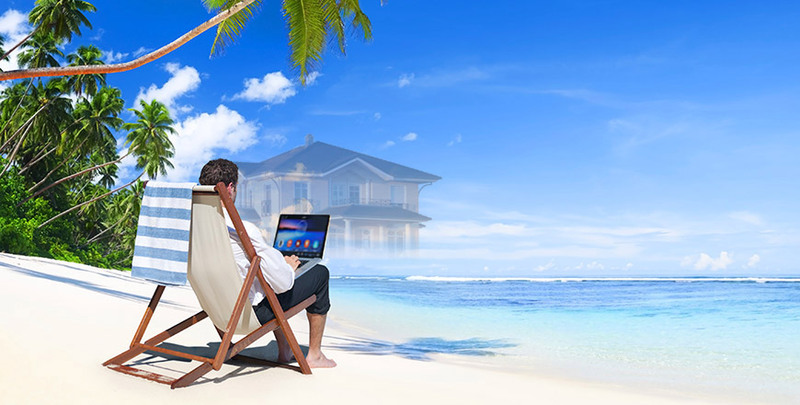 Feel safe and secure knowing that you can access the integrated systems in your office from anywhere you have cell service - even from the beach. Adjust temperature, open or close the shades, turn on or schedule your interior or exterior lights. Allow the cleaning help, maintenance person, or delivery person in the door anytime while keeping an eye on what they are working on from your camera's. Use your phone or computer to keep an eye on things that you are getting your money's worth. Feel secure knowing Kozi Media Design will make this possible while you are home or away. To learn more, call Kozi Media Design at 1-877-746-5694 or send us an e-mail.